A seven-day series of itineraries will be offered aboard Oosterdam and Eurodam, while Maasdam’s popular EXC In-Depth Voyages expand to Mexico in 2020. All of the regular-season cruises will sail roundtrip from San Diego, California. “Mexico continues to be a top cruise choice among our guests because it offers such a rich experience, from warm weather and beautiful beaches to diverse cultural and culinary landscapes,” said Orlando Ashford, president of Holland America Line. “By visiting several iconic ports within this captivating country, we’re able to provide guests with an authentic, immersive experience that leaves them with a deeper understanding of this colorful part of the world. Oosterdam kicks off the season 60CT, 2019, with one of 14 seven-day cruises offered through 18APR, 2020, including two holiday departures 21 and 28DEC. Guests can enjoy an identical itinerary aboard Eurodam on 19OCT and 2 and 9NOV. Cruisers interested in a longer sailing can extend Eurodam’s19OCT voyage by embarking four days earlier at Vancouver, British Columbia, for an 11-day cruise that adds a call at Santa Barbara, California. 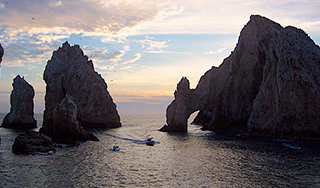 For an even deeper exploration of the Mexican Riviera, Maasdam’s 12-day EXC In-Depth Voyage departs 3 and 15APR, 2020, and includes seven Mexican ports that rim the Sea of Cortez. Along with Cabo San Lucas, Mazatlán and Puerto Vallarta, guests will enjoy La Paz, Loreto, Guaymas and Topolobampo. Maasdam’s 15APR departure can be extended for an 18-day Collectors’ Voyage that also visits Santa Barbara, Monterey and San Francisco, before arriving at Victoria then Vancouver, where guests will disembark.